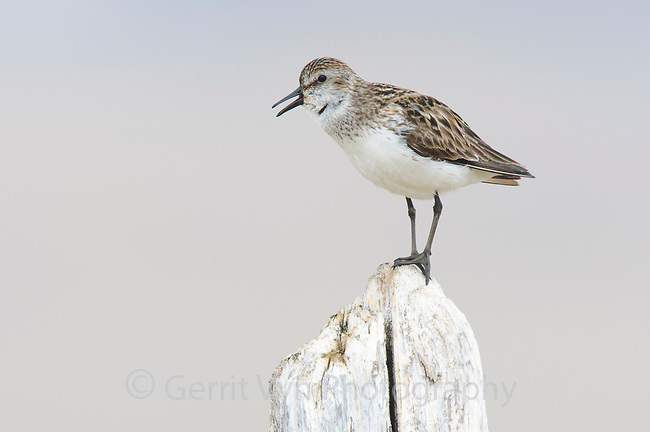 Adult male Semipalmated Sandpiper (Calidris pusilla) vocalizing from a piece of driftwood. Bird is giving the "motorboat" vocalization. Seward Peninsula, Alaska. June.